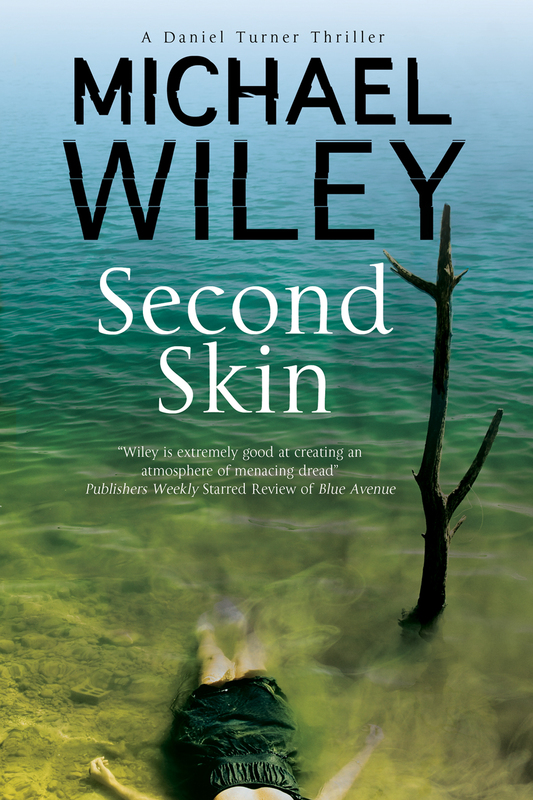 Second Skin, by Michael Wiley. Severn House. 225 pages. Hardcover $29.95. When Sheneel Greene, a lovely nineteen year old near-Albino college student, is found dead on property connected with the Phelps Paper Company, the police inquiry seems lackadaisical. Her English teacher, Lillian Turner, was first concerned when Sheneel was only considered missing. She and her husband Johnny Bellefleur, a spiritually and psychological wounded war veteran, feel obligated to pursue the mystery – first of Sheneel’s disappearance and then of her demise. Johnny, who for too long served on a Navy hospital ship processing deceased soldiers’ bodies and body parts for burial, runs a missing persons detective agency. Alone, he staffs a shabby office made available through the influence of his police detective brother-in-law, Daniel Turner. Yes, this is the character whose name labels this distinctive mystery series. The attempt by Lillian and Johnny to investigate together serves as a vehicle for healing their troubled relationship, but it turns into a monstrous adventure the stress and violence of which promise to destroy them. Johnny, whose nightmares are full of death even without this current undertaking, will have plenty of reasons to seek the skills of his VA counsellors. He and Lillian are pursuing deadly secrets. Sheneel had enough knowledge of Phelps doings to be dangerous. So did her brother Alex, who also becomes a victim. Now Johnny and Lillian are dangerous as well, and as the Phelps kingpin and his son make too clear, they are bringing danger upon themselves by getting near the answers to those secrets, if not hard evidence. Secrets like how did a Gullah community that once lived on land now controlled by the paper company disappear? What has compromised the health of so many who live nearby? Why do people who are exploited retain a bond of loyalty to those who exploit them? How can a major local employer in today’s United States actually own law enforcement? Will Daniel Turner get serious about investigating these deaths, or is he a bought cop? Johnny’s dog brings a major clue: Percy drops Sheneel’s hand and arm, her pale skin bearing the “tattoo of a snake circling to bite its own tale,” beside his master. This image, found elsewhere in the story, is laden with symbolic overtones. Not a self-amputation, the tattooed limb was cleanly cut from her body and left to be found as a warning. It’s clear now that her death was no suicide. . . . 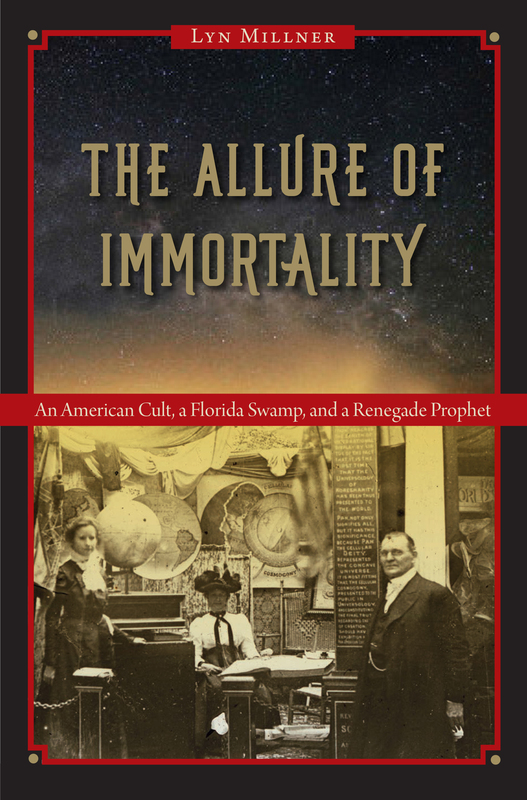 The Allure of Immortality: An American Cult, a Florida Swamp, and a Renegade Prophet, by Lyn Millner. University Press of Florida. 368 pages. Hardcover $24.95. Maybe the approach of a new century fostered utopian, apocalyptic, and millennialist communities to flourish, though the career of self-proclaimed prophet and savior Cyrus Teed began in the 1870s in upstate New York. Here he started preaching his ideas regarding a hollow earth (we live inside of the sphere, not on top of it), socialism, celibacy, his own transcendence, and other arcane matters. The Koreshan Unity didn’t gain much traction until after Teed relocated its headquarters to Chicago in the late 1880s. However, it would be impossible to found a New Jerusalem in the Windy City, though Teed was able to build his following and do a better job of funding his movement’s activities there. He developed ardent supporters, far more women than men, and built larger audiences for his lectures. There were always those who considered him a quack, but the movement was sustained by diehards. The would-be New Jerusalem ended up being built in the community of Estero in Southwest Florida. After beginning to develop its new home in 1894, Koreshanity flourished for about a dozen years, attracting about 250 members at its peak. After Teed’s death in I908 (he didn’t ascend, though followers were watching hopefully), the movement began to fade. What’s left of it now are the historic buildings and interpretive exhibits at the Koreshan State Historic Site – and in the comprehensive history and assessment found in Professor Millner’s glorious book. Railroads soon drew the country together, electric lighting turned night into day, and soon the motor car exploded the horizons of families and individuals. Lyn Millner sees Teed and his Koreshan Unity church against this backdrop of accelerating technological change. One of the book’s spellbinding sections describes the experiments by Teed supporters that proved – to themselves at least – the validity of their hollow earth theory. Teed and others were enthralled by the amazing rebirth of Chicago after its near-death by fire. The iconic World’s Columbian Expedition (Spring-Fall 1883) was a major stage in projecting an era of limitless possibilities. It was the magnificent anteroom to the twentieth century. 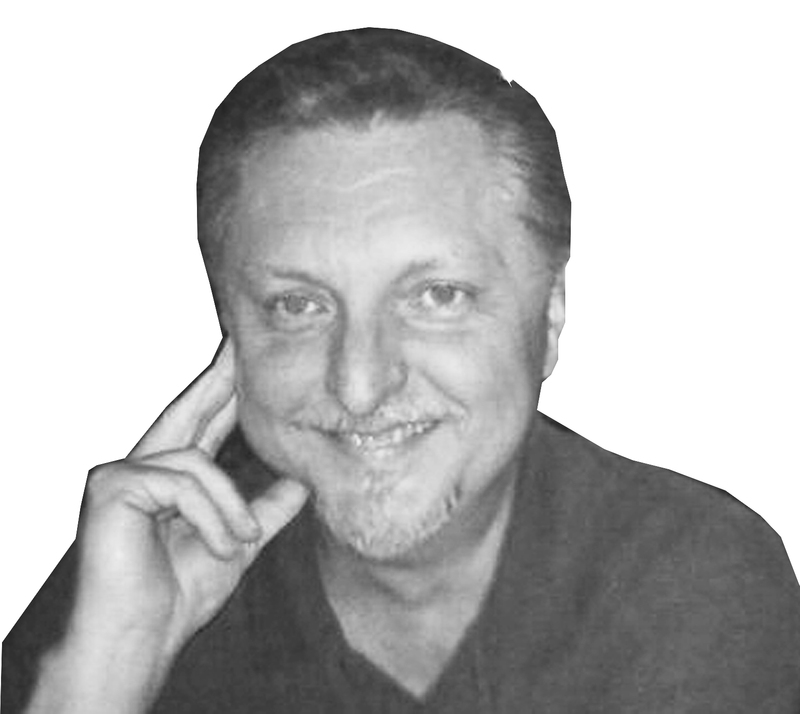 To tell Teed’s story is to tell the story of his supporters, followers, rivals, and detractors. Prof. Millner breathes life and magnitude into a large cast of characters, people who were ready to take chances, who needed to give their lives meaning, and who would find both ecstasy and disappointment in their relationships to the charismatic Teed and his grand endeavor. . . . 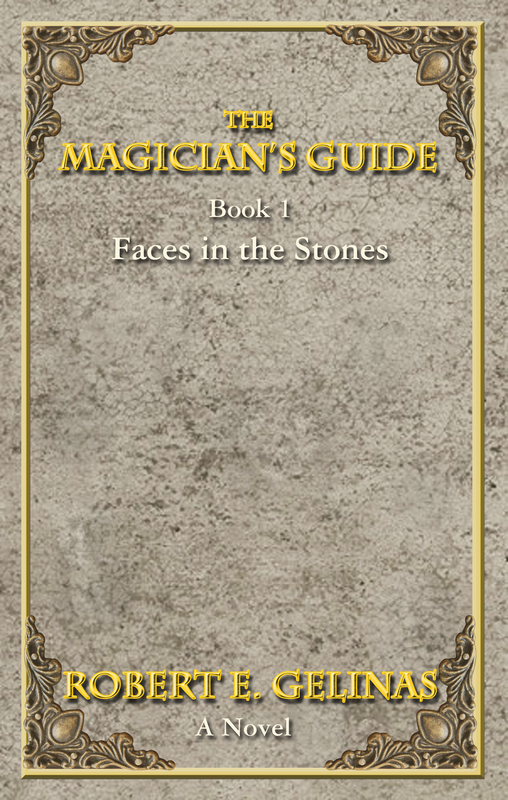 The Magician’s Guide: Book 1 – Faces in the Stones, by Robert E. Gelinas. Archebooks Publishing. 294 pages. Trade paperback. $14.95. 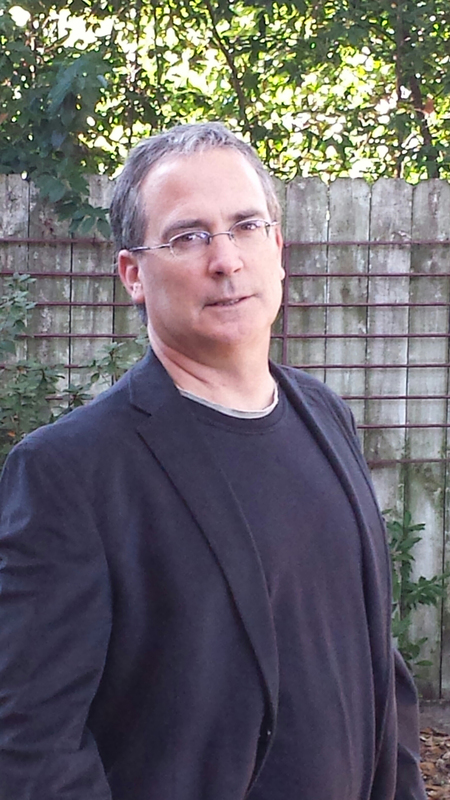 Dr. William Turner, an expert in quantum physics, is also an expert in “real magic.” As a Master Magician, he is not merely an illusionist or card manipulator, but rather a person who can manipulate natural laws through an understanding of nature’s secrets and the hidden powers that lie within many of us untapped. One thread of Mr. Gelinas’ amazing book is Turner’s detailed journal, written for his daughter Sasha, a university professor. As she learns, we learn – but I don’t know if I dare practice any of the energy transfers or other operations that will allow me to become a Magi. The author uses the structural device of alternating passages from the journal with chapters in a place-jumping narrative that follows intriguing characters in a wizards’ war for global dominance. The time is the here and now. The players are Middle Eastern dreamer-schemers, former Soviet Union agents, Western Europeans and Americans who are mostly good guys – you know, the stuff of yesterday’s and today’s electronic and print journalism and opinion-mongering. Buy a nuclear bomb from Pakistan, explode it in the right place at the right time, and you and yours can reshape the world (or what’s left) according to your wishes. However, your enemies – the good magicians – will make every attempt to block you. The plotting, scheming, and exercises of superpowers take readers on a dazzling tour, each stop described with vividness and authoritative detail. In Austin, Texas we first make the acquaintance of Sasha Turner as she learns that her father, William, had been arrested and sent to a psychiatric hospital in Geneva for evaluation. He was charged with murdering a high-ranking government official. Is he really mad? Has he been set up? We learn soon enough that William has been caught in an Inner Circle power play orchestrated the current head of the Inner Circle of the magi – Daniel DuMonde. Though confined under heavy guard, William had vanished. We discover more when we meet DuMonde and other players at DuMonde’s office in Paris. He assumes that he and other members of the Inner Circle are being hunted by William Turner. The race is on, with magicians choosing up sides. You’ve heard the phrase “uneasy lies the head that wears the crown?” Well, suspicion and fear of betrayal are at large in these corridors of unusual personal power. Further stops on this high-adventure tour include Rome, where we get to know Turner’s former wife and Sasha’s mother, Penelope; Geneva, where we find Magi, Interpol chief inspector, and Turner’s mentor Allister McKenzie; Kiev, home to Alexey Borochenko, DuMonde’s ally in the battle of the Magi titans; London, where McKenzie reappears at the Interpol Field Office; Athens, where we get a first view of DuMonde’s vessel The Libertine; Izmire, Turkey, where Borochenko plots with Stephan Burke, another villainess Magi; and then, at long last, Cairo, Damascus, Tehran, and Tel Aviv. . . .
Peril by Ponytail, by Nancy J. Cohen. Five Star. 292 pages. Hardcover $25.95. Certain formulas help focus a writer’s effort. Adaptations of the so-called classical unities of time, place, and action advanced by Aristotle (for drama, not prose fiction) put helpful limits, and the pressure of limits, on the writer and the reader. That’s why island motifs are so popular. In theater, the arrival/departure frame has long been a design staple. 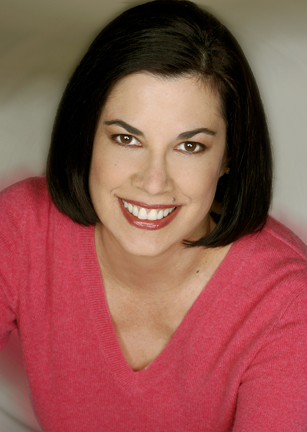 Nancy J. Cohen exploits these conventions effectively in her in twelfth “Bad Hair Day Mystery,” featuring hair salon owner Marla Vail, recently married to Dalton, a South Florida homicide detective. The romantic Arizona honeymoon that they are planning at the Last Trail Dude Ranch, to which they’ve been invited by Dalton’s cousin Wayne Campbell, the general manager, ends up being short on romance but long on adventure. Strange happenings, disappearances, and even deaths plague the resort and threaten to stall the completion of the companion effort – the ghost town at Craggy Peak. Both enterprises are owned by Dalton’s uncle, Raymond Campbell. Someone, or some group, seems to be sabotaging both facilities. Equipment valves are left open, accidents abound, a forest ranger is found dead, and a worker is mysteriously missing. Raymond blames it all on a neighboring rancher, former friend turned nemesis Hugh Donovan, and Hugh in turn blames problems on his ranch on Raymond. Dalton has pledged to help his cousin and uncle investigate these problems that threaten to bring the family enterprises to ruin. Naturally, Marla will help out. After all, this series in not yet Mr. and Mrs. North (or Vail). Marla was solving crimes before she and Dalton were an item. The grounds of the resort are both beautiful and treacherous. Ms. Cohen lavishes attention on both aspects with vivid descriptions mostly cast from Marla’s point of view. She also presents the operations of the resort and the planned entertainments of the ghost town in vivid, engaging detail. Part of the fun is watching Marla’s slow adaptation to appreciating an environment and lifestyle so different from the one she has known in South Florida. Readers will also enjoy her addiction to shopping and “what-to-wear” considerations at each step of her compromised honeymoon, which has turned into a test of nerve. Her days are punctuated by make-up touch-ups. 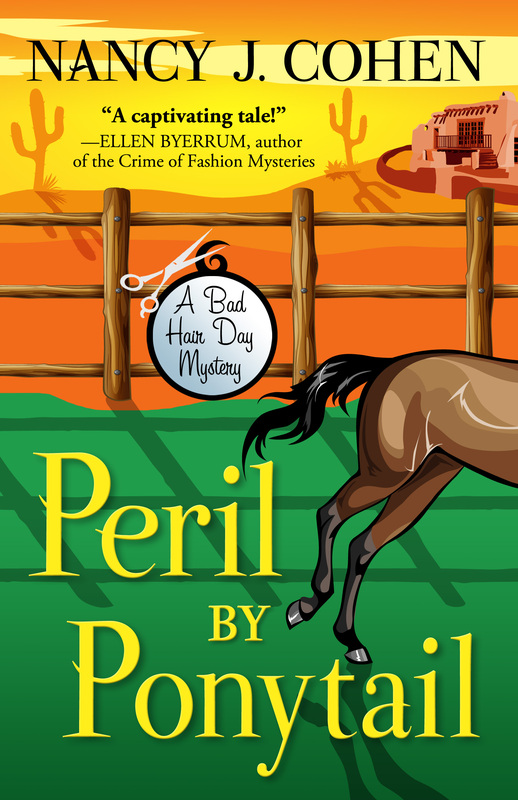 Nancy J. Cohen is the queen of the cozy mystery, but there is plenty of violence mixed in with the gentle tone and the good-natured humor found here. 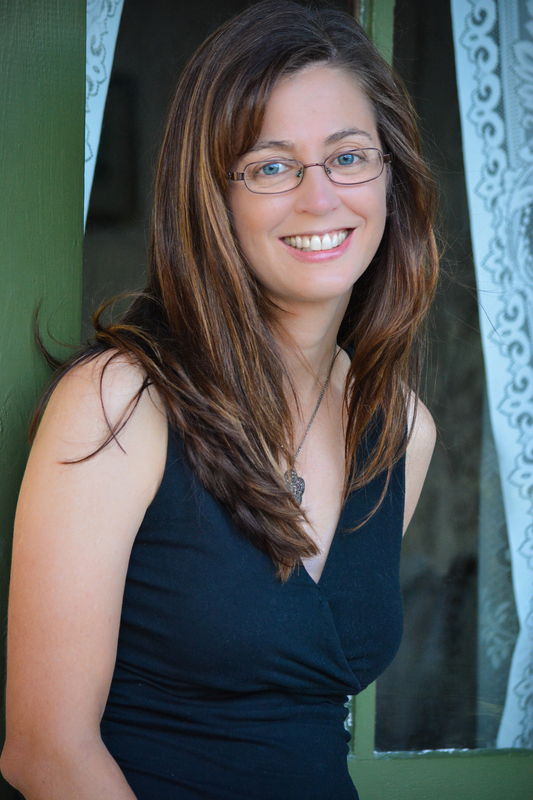 And there are plenty of questions to answer. . . .
What Washes Up, by Dawn Lee McKenna. Sweet Tea Press. 147 pages. Trade paperback $9.99. 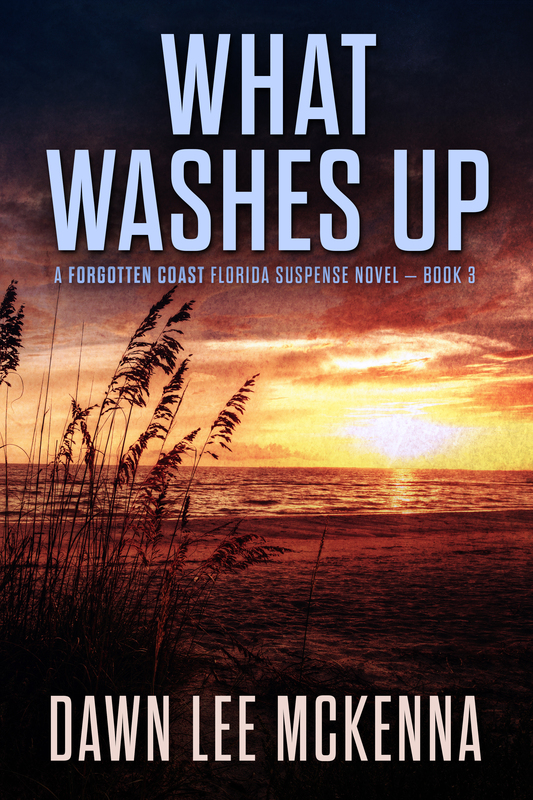 This is book 3 in Ms. McKenna’s 4-part “The Forgotten Coast Florida Suspense Series,” a tightly integrated sequence of books that is best enjoyed and appreciated if read in order. However, from my own experience, What Washes Up packs plenty of punch and has effective coherence when read on its own. If you are looking for intriguing characters, more than a bit of mayhem and crime, well-drawn relationships, and a powerful sense of place, you’ll definitely enjoy this quick read. Lt. Maggie Redman is in a bad way. On leave from the Sheriff’s office while nursing a bullet-blasted hand, and not allowed to work the case of her ex-husband David’s recent death by suspicious explosion, she and her colleague-friends come across an unlikely scene. A wooden skiff is burning, and a fire-blackened man is hanging dead from the front of the cabin. The sight and smell are nauseating. The corpse is that of one Rupert Fain, a drug dealer suspected of being David’s murderer. David himself had been involved with transporting drugs. Fain had been killed by a small caliber bullet before being hung on the burning boat. It’s quite a way to enjoy a day that was supposed to be an opportunity for Maggie and her boss/boyfriend Sheriff Wyatt Hamilton to advance their relationship. Their negotiation of that relationship is one of the novel’s many engaging centers of interest. Others include Maggie’s role as mother of a ten year old son and a teenage daughter, who are staying with Maggie’s parents through this course of events, and her relationship with her parents. The family dynamics are sketched with economy and skill, just enough to make them credible, distinctive, and admirable to readers. A key phrase planted early in the novel is that of someone saying “I’m tired of cleaning up Boudreaux’s messes.” The questions: are these murders Boudreaux’s mess, what else is part of the “mess” category, and is Bennett Boudreaux the Boudreaux being named? 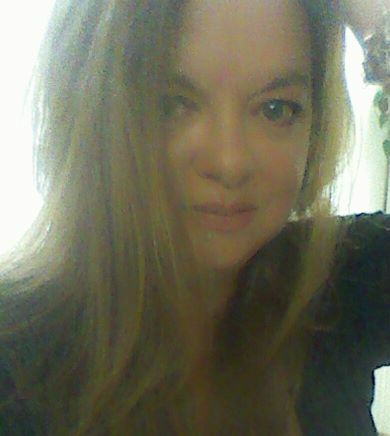 His is, after all, the man who said that Fain was most likely David’s killer. Somehow, Maggie still has a case she can attend to: the severed leg of one Sport Wilmette, found in a shrimper’s net shortly before David’s death. What else ties David, Fain, and Wilmette together? A serial killer?